We recently brought you information about the best RFID-blocking wallets for men. Today, we have a review of the best RFID-blocking wallets for women, who have far more options in terms of styles, looks, and formality. If you’d like to read the previous installment, click here http://blog.destinationscu.org/2015/08/the-best-rfid-blocking-wallets-for-men.html. In it, you can learn about what RFID is and why you need a wallet that blocks the signals from your cards. Our first option is one of the most basic wallets offered to women that is also capable of holding everything while still looking fashionable. The Access Denied trifold wallet has space for your cash, cards, passport and checkbook, so you know that this wallet can handle whatever you need for your day. It’s also available in a variety of neutral tones and common purse colors to coordinate with your everyday bag. It’s hard to find this much convenience and variety under $60. That said, if you’re a fan of high-quality leather, you might be put off by the lack of full or top-grain leather with this wallet. 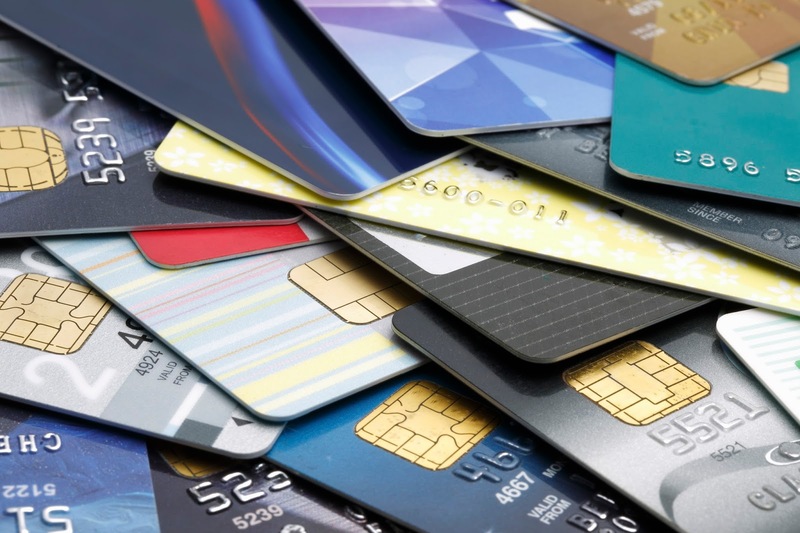 If that’s something that upsets you, be warned that this guide is very light on such top-flight materials, because the wallet manufacturers don’t seem to use them very often for RFID wallets. If you want to step into high-quality leather goods that keep your identity safe, you’re going to be paying a lot of money. 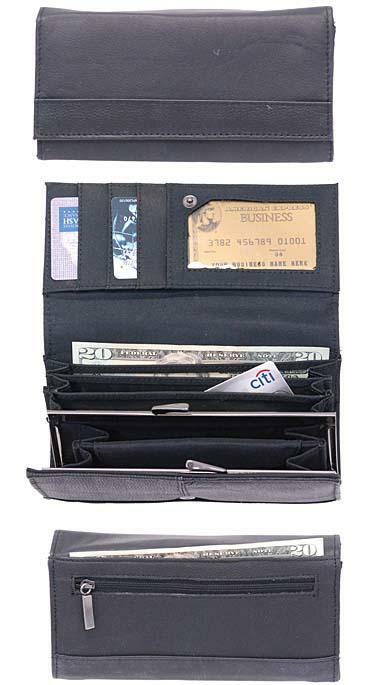 Identity Stronghold has an inexpensive wallet that should fit into any purse. If you want the convenience and storage options of a much bigger wallet, the Identity Stronghold Mini-Trifold has a zippered coin pouch, credit and ID card slots and a pocket for your cash. The faux-reptile leather finish is a stylish touch that Jane Birkin would appreciate because, unlike the Hermes Bag named for her, no alligators were harmed in making it. 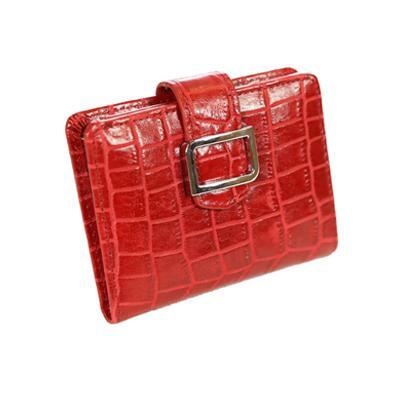 The wallet comes in a few different faux-reptile finishes, ranging in color tone from muted purple to the bright red pictured here. It’s deceptively stylish for the price. 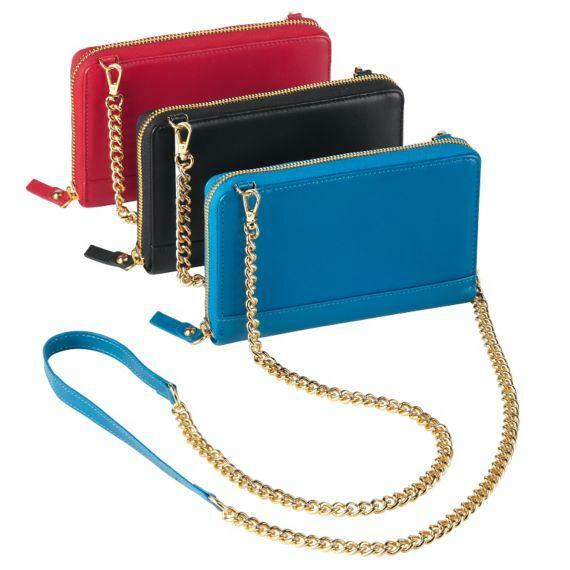 Another option is to find a small bag that you like and use it for carrying your wallet. Both of these options from luggage maker Travelsmith offer full RFID protection for everything within the bags, including credit cards, IDs and passports. 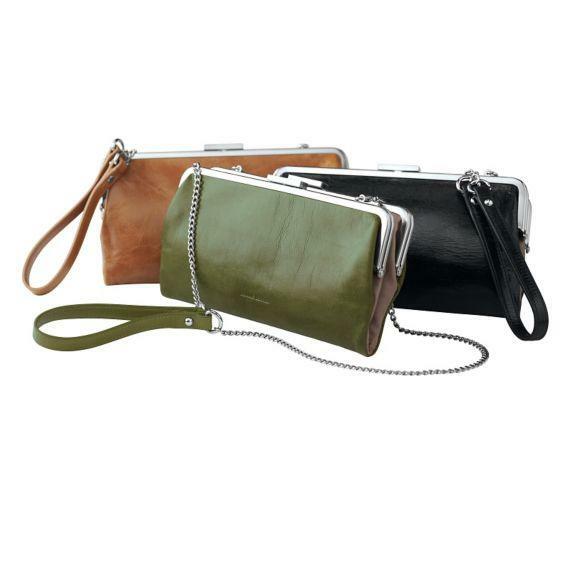 Like the Access Denied trifold wallet above, these bags are available in a variety of colors to suit just about any taste. If you find the idea of moving away from a beloved bag or purse unappealing, the chain straps can be removed from either of the Travelsmiths and the bags can be used as wallets. Each bag comes with some organizational features, but if you want everything to have a place, you may find the lack of dedicated pockets frustrating. Finally, we have the option for anyone who would like to keep their current wallet or purse, regardless of style preference or gender. These inexpensive sleeves wrap around your cards individually to protect them from skimmers and look great while doing it. Armored Wallet offers a variety of colors and prints featuring classic works of art. There’s something to be said for the unique touch of carrying classic art in your wallet, and even more to be said for protecting yourself while getting change back from a $10 bill. 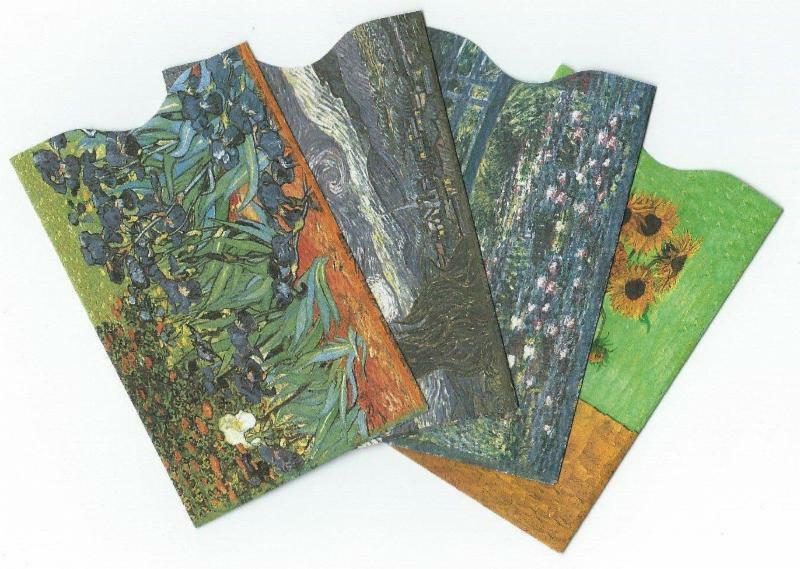 The masterpieces featured on the sleeves come mostly from European impressionists like Van Gogh and Monet, and don’t extend much past the paintings you might have had as a dorm poster in your college days. So, if you were hoping for Klimt or Kandinsky, you’re out of luck. In the end, your choice will be dictated by your personal style. If you’re an upscale fashionista, you may be disappointed with the season’s offerings; among Saks 5th Avenue, Nordstrom, Barney’s New York, and Coach, not a single RFID-blocking women’s wallet can be found. If you prefer simplicity, you might want to check out the men’s wallets, most of which claim to be unisex. If, however, you’d rather save money and protect yourself from identity theft than look good on the runway, you have your choice of a vast number of styles and colors. Whichever you choose, make sure you find a way to protect your cards, even if that means wrapping them in tinfoil until you can find a suitable and fashionable alternative.